Buddhists across Asia have often sought to die, as the Buddha himself is said to have done, with a clear and focused mind. 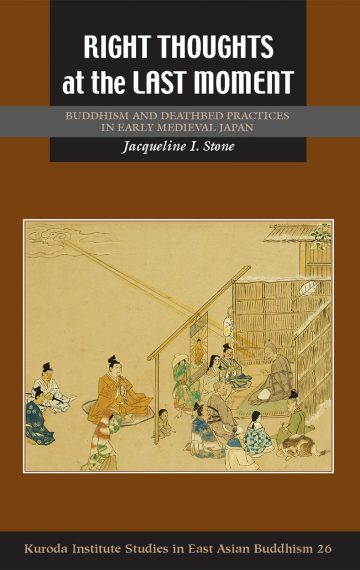 This study explores the reception and development in early medieval Japan of the ideal of “dying with right mindfulness” (rinjū shōnen) and the discourses and practices in which it was embedded. By concentrating one’s thoughts on the Buddha at the moment of death, it was said, even the most evil person could escape the round of deluded rebirth and achieve birth in the Pure Land; conversely, even the slightest mental distraction at that juncture could send the most devout practitioner tumbling down into the evil realms. The ideal of mindful death thus generated both hope and anxiety and created a demand for ritual specialists who could help the dying to negotiate this crucial juncture. Examination of hagiographies, ritual manuals, doctrinal writings, didactic tales, diaries, and historical records uncovers the multiple, sometimes contradictory logics by which medieval Japanese approached death. Deathbed practices also illuminate broader issues in medieval Japanese religion that crossed social levels and sectarian lines, including intellectual developments, devotional practices, pollution concerns, ritual performance, and divisions of labor among religious professionals.